Dreaming of a classic ballroom wedding? 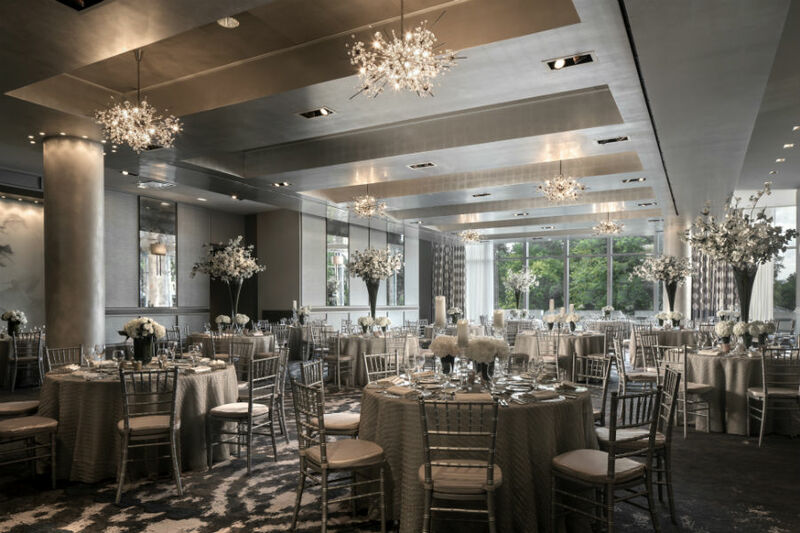 Picture, if you will, an airy space with graceful chandeliers, antique mirrors, and 12-foot floor-to-ceiling windows overlooking the Boston Common and the Public garden. Now go tour it yourself at the newly transformed Ritz-Carlton, which wrapped a $13 million renovation in late 2017. The theme of the Ritz renovation is “Boston colonial heritage seen through a modern lens,” says catering sales manager Robert Smith. 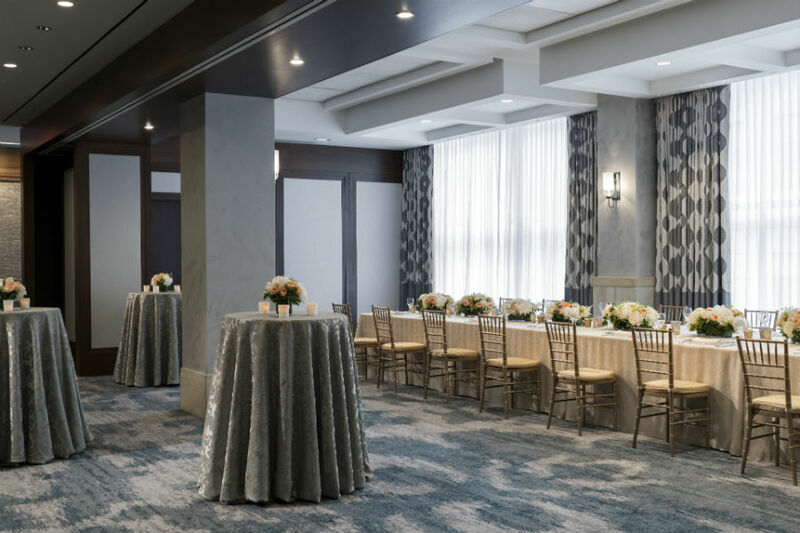 At 3,500 square feet, the hotel’s updated ballroom—which can host as many as 250 guests for a wedding—feels just as magnificent as the most expertly designed Boston townhomes just blocks away. Platinum-leafed wallpaper sparkles with light from the room’s towering windows, while a hand-painted, botanical-themed mural by Toronto’s Moss and Lamb enhances the garden views. 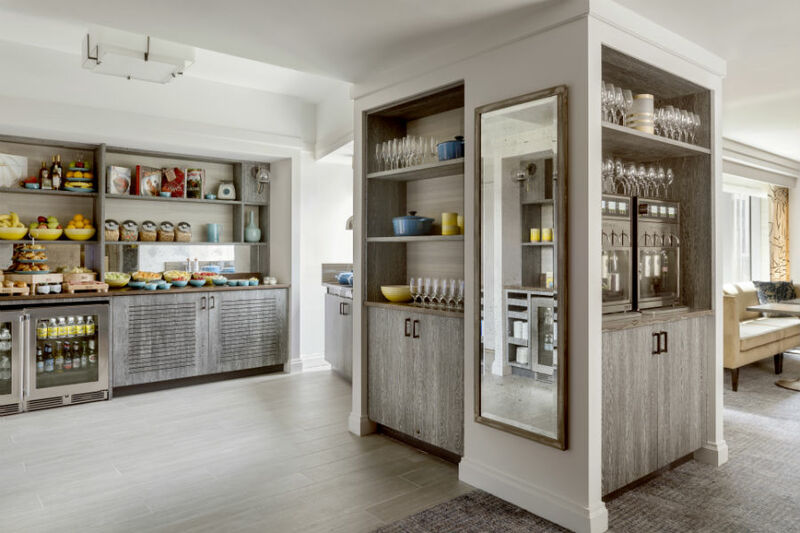 Adjacent to the ballroom, the revamped “studio” provides an additional 1,200 square feet of function space, which many couples use for pre-wedding cocktails or a post-wedding brunch. This room was also updated with new carpeting and lighting that illuminates a pearlescent shell wall—a gorgeous backdrop for photographs. 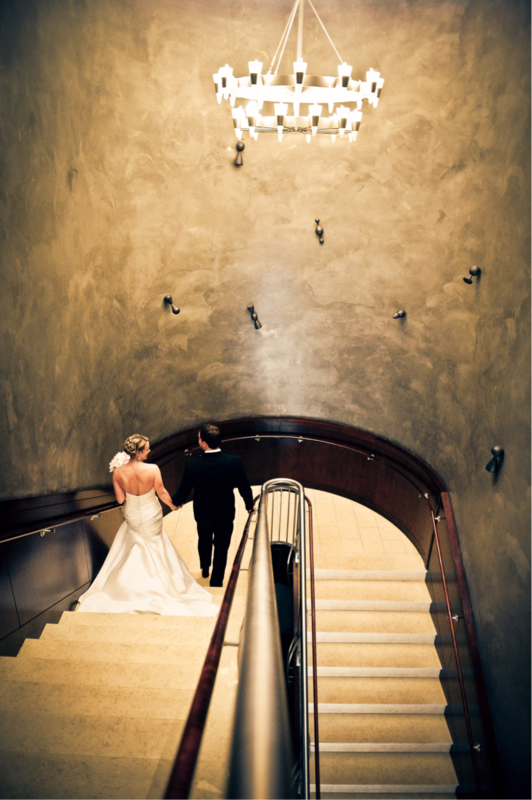 The property as a whole feels opulently residential, from the ballroom’s grand staircase leading to the cozy Avery Bar to the hotel’s posh Club Level, where your guests can gather for snacks and champagne. The re-design embraces authors such as Edgar Allen Poe and the Ralph Waldo Emerson, whose poem “The Raven” appears on the wallpaper in the hotel’s guest rooms. Leather-accented beds (sourced from the city’s Leather District), photographs from the Boston Public Library, and period-appropriate light fixtures add to the “Boston” theme.